Tecate is a Mexican produced lager that possesses light flavor, comparable to other Mexican beers sold in the United States. While its ingredients are traditional (water, hops, barley) the percentages of these ingredients change for imported Tecate, which shows a drop off in alcohol content, and a decrease in hops to increase the smoothness of the beer's flavor and to reduce bitterness. Tecate is a lager, and as such is composed of a very small amount of hops. 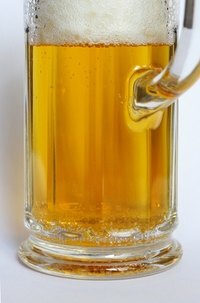 One to two ounces of the ingredient are used to compose most batches of lagers which provides bitterness to balance the sweetness of other ingredients incorporated in the brewing process. Hops also acts as a form of natural preservative for the beer which is not commonly fortified with artificial preservatives. Malted barley is a starch source that provides the fermentation ingredients necessary for Tecate to develop its crisp flavor. Barley is fermented through soaking in water, which allows the grain to begin the germination process. The grain is then removed from the bath and is kiln dried. Malted barley functions to produce enzymes that turn the naturally occurring starches in the grain into sugars. This facilitates the fermentation process and creates the alcohol content within the lager. No beer can be made without water. According to moon.com, Tecate beer is made using water derived from local Mexican springs which is considered the purest in that country. Mexicans consume Tecate served in long neck bottles which is traditionally accepted as the better container for flavor preservation over the aluminum cans that Tecate is served in north of the border.